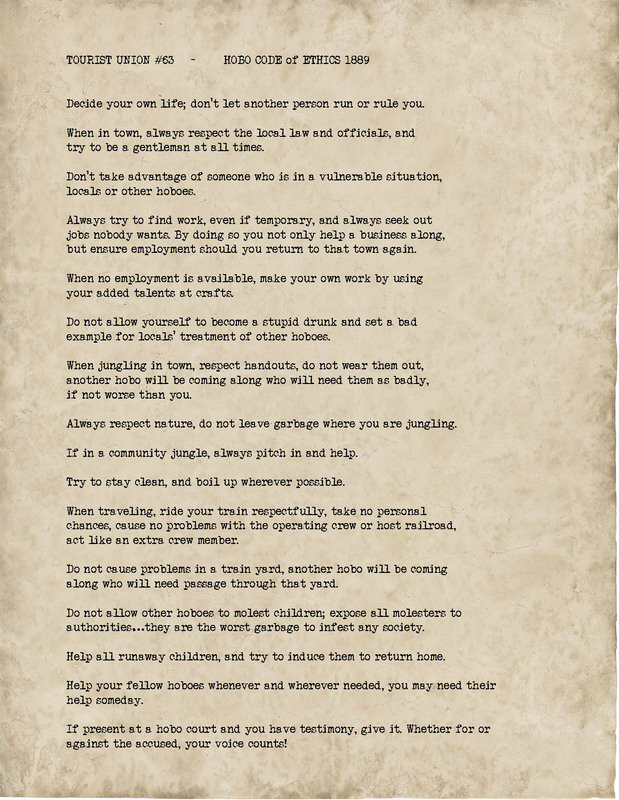 SSoIH.com - The Hobo Ethical Code. The earliest publicly published Hobo Ethical Code was by Tourist Union #63 in 1889. A union started by hobos to aid hobos in gaining employment. The union was open to hobos across the nation. There were 63 hobos present during the creation of the union and the name Tourist Union #63 was created. Out of that union came The Hobo Ethical Code of 1889.